Over the last 40 years, Chicago churches of all sizes and denominations have seen a precipitous drop in attendance and membership. As congregations and coffers shrink, some are closing the doors on historic houses of worship that have anchored neighborhoods for generations. Many of the old buildings, which are notoriously difficult and expensive to maintain, have fallen into disuse and disrepair, causing preservationists to scramble to save them from demolition. 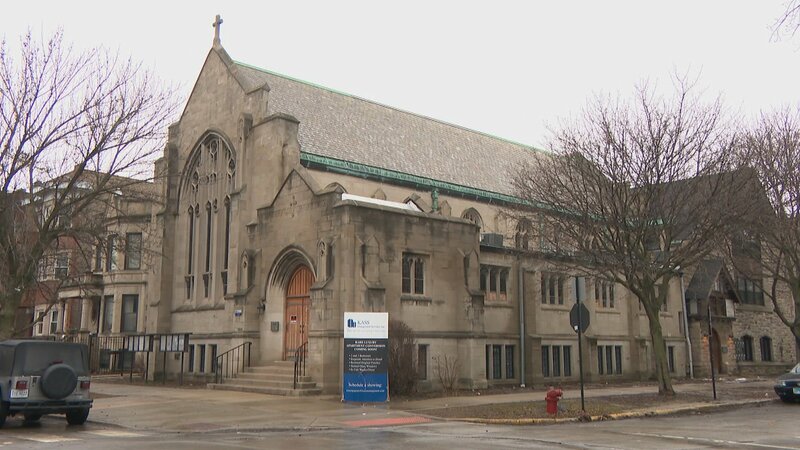 But a recent wave of developers snapping up neighborhood churches to convert into pricey private residences has preservationists and communities shifting their focus from saving the buildings themselves to questioning how the former houses of worship are used in their next iterations. Poll: Do conversions save or spoil historic churches? Logan Square Preservation President Andrew Schneider recently expressed dismay on Twitter about the conversion of the former Church of the Advent into pricey apartments – one tweet in particular addressed the reuse of the church’s altar as a kitchen island. Schneider says that issues of taste aside, a more important concern is that developers have an unfair edge over congregations in high-value markets. But one of the architects behind the Church of the Advent project points out that the input of community groups and officials is sought out before any changes are made. “In all of our religious conversions, we will have meetings with community groups and representatives and the alderperson,” said Jean Dufresne, principal at Space Architects + Planners. “We also will meet with the city Landmark Commission, as most of these projects are historically contributing structures. The process starts with the community group. Without their support, the project would not move forward. Dufresne’s stance is that when churches close and their original purpose is void, the primary reason to save them is for their historic and architectural value. While Schneider acknowledges that preserving the building’s street appearance is better than losing the building entirely, he said that churches’ role as community buildings make them a special case when considering their reuse. “When you’re talking about a nonprofit use like a church, it doesn’t produce in the same way a rental property or condo project would, and yet we don’t regard their use as without value,” he said. “It’s easy to drive or walk by these churches and think the only way they contribute is through their physical beauty, but the relationship between the buildings and the community is more subtle and complex. Back to that altar turned into kitchen island that some on Twitter found objectionable. Dufresne says the Episcopal Diocese left it behind – and argues that repurposing the altar saved it from a landfill. The Church of the Advent’s last treasurer, Todd van Alstyne, describes a more complicated situation than Dufresne suggests. He calls the reuse of the altar and other sacred objects “at best distasteful,” but he also blames the Episcopal Diocese for their treatment of the church. “Members of the congregation were informed that the building and all of its contents belonged to the diocese,” he said. “We were not allowed to remove any items … We had thought the diocese would have taken care to remove all sacramental furniture, memorial plaques, etc. Do conversions save or spoil historic churches?